This week the Fiji National Sports Commission’s Sports Development Unit will commence will commence running a Sunday special feature on Sports Development. Established in 2013 through a decree of government, the Commission has its main role the development of sport through an integrated approach. It set itself the vision; “to enrich the lives and health of all Fijians through physical activity and sport at all levels”. It may sound challenging but, in reality every individual in this country must embrace this vision considering physical fitness and health is everyone’s priority. We must take an active role in supporting the vision. 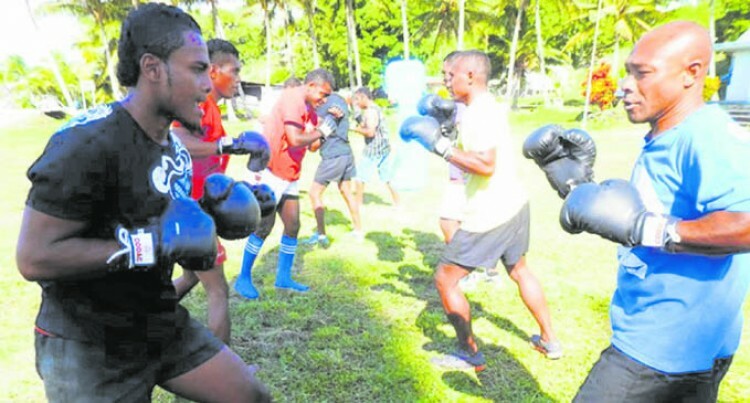 In three years the Fiji National Sports Commission has registered some outstanding achievements by way of reaching out to distant and remote parts of the country. We refer to people who would not enjoy the luxury of access to sporting facilities and competition opportunities. They make 80 – 90 % of the playing population of a sport but receive minimal assistance by way of funding or access to resources the elite population of a sport have access to. In this week’s feature we will feature the programs of the commission. The Sports Outreach Programme is a weeklong programme conducted in rural settings to teach youths in the age brackets of 17-35 the basic skills of a range of sports. The focus of the program is to define participation pathways and set participants for opportunities in the sport through the assistance of the commission. It is an opportunity to identify talent knowing the abundance of sporting talent out there in rural communities. Empowering coaches is the best way to develop a sport. This programme focuses on accrediting carefully selected participants with basic coaching or officiating certification to set them up on a coaching and officiating pathway. We have been working closely with sporting bodies to support this program. This program targets teachers who wish to get a formal accreditation or learn the skills of a sport of their choice. Teachers play a huge part in shaping children’s future. They receive minimal training in the area of sport specific coaching during their teacher training days. The sporting bodies are obliged to provide teachers who would teach children their sport in schools the required skills and the Educate the Educator Program provides teachers with this wonderful opportunity. This program targets children in the primary school years. It follows a “Give it a Go!” concept where children in schools and in communities get a chance to try out a range of sports. One of the big misconceptions in children’s sport is specialising them too early in a sport. Why? They did not have an opportunity to try out a range of sports. It promotes maximum participation, teaches the values of good sportsmanship and encourages inclusivity in all aspects of the program. The stigma of non-participation by people with a disability is something the commission is working hard to achieve through this program. Programs are conducted in special schools by sporting bodies where students get the same opportunity as those in the Kids in Community Sports Programme. A big challenge for the commission has been identifying people out there who would be discouraged from participating in sports because of their disabilities. The commission adopts an inclusive approach towards participation in physical activity and sports – in other words everyone regardless of gender, race, age, culture, or people with special needs have equal opportunities. A 2- 3 hour program that promotes physical activity participation through across all levels of the community. It involves aerobics or zumba sessions or a range of modified sports where people are encouraged to participate, raise their heart rates, and stay active. Our first three years focused on promoting these programs in the community at the same time identify how the programs could be delivered better. Join us next week when we bring will highlight our achievements in the last three years. Please log onto our website; www.fijisports.com.fj and get more up-to date information on these programs.